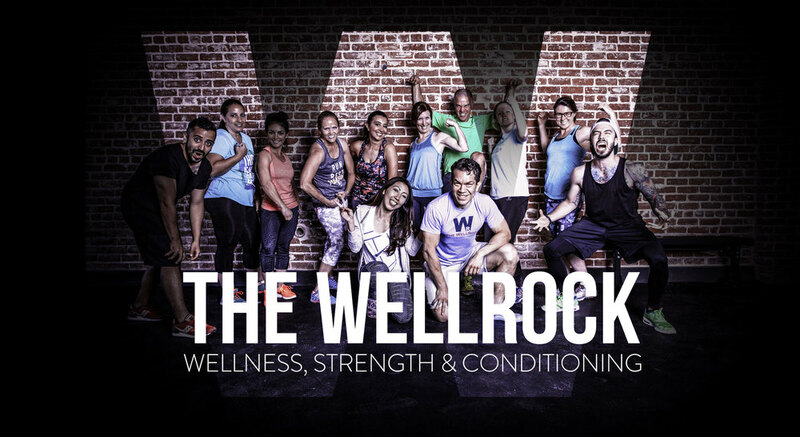 The Wellrock: Life changing fitness for the Mind, Body & Soul. Since 2007 The WellRock has transformed people like you & I. The name WellRock stands for Wellness first and foremost. The Rock comes from being rock solid mentally, because that is where our greatest strength truly lies, and where every great idea starts. We are the first gym to take the ego out of fitness. We do not compete with each other but we strive for personal Evolution. We’re not fixed on what we can’t do, but what we will do. It is not about how much weight you lifted or how fast you ran, it’s about how much heart you put in and showing up when everything inside you says “tomorrow”. We encourage you to let go of what you think you can or cannot do… to not compare yourself to others & try something you’re afraid of. Remember, the obstacle is the way and together we will walk through the ups and downs to help you flourish...That’s why we are here. We work hard, we smile, we challenge, we breathe and we laugh. Our philosophy is “Become the best version of yourself” and we know that a well-lived life is a healthy life, a vibrant life. Exclusive program designed specifically for your individual needs and goals, including email support. Schedule your workouts at a time of day that works best for you. Perfect for those who regard health as their highest priority. Receive Lifestyle design strategies along with nutritional guidance to help create real change. 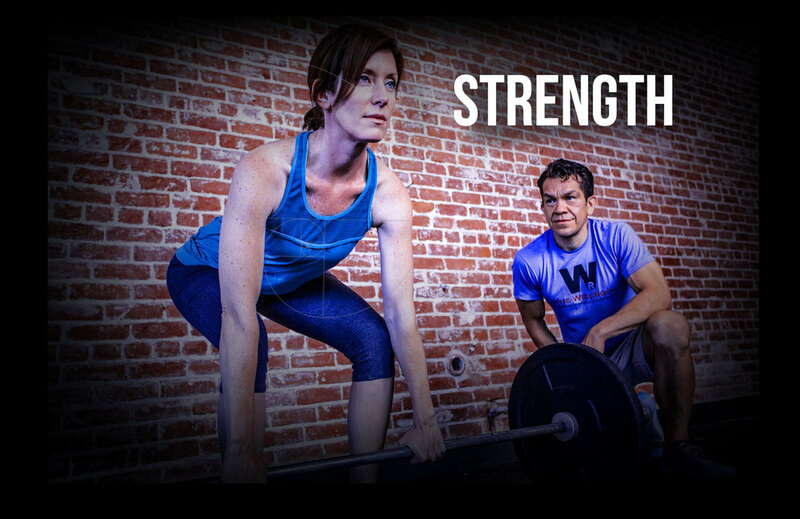 All new members receive a WellRock T-shirt! Our 10:1 group classes give you the attention you need with the energy and fun of a group environment. Schedule your workouts from our designated class times. 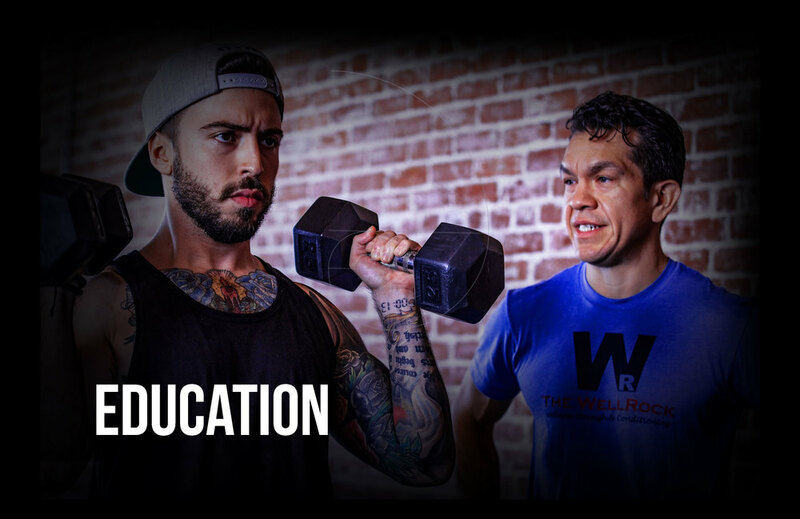 Group fitness Programs Designed by WellRock founder: Jesse Holguin. 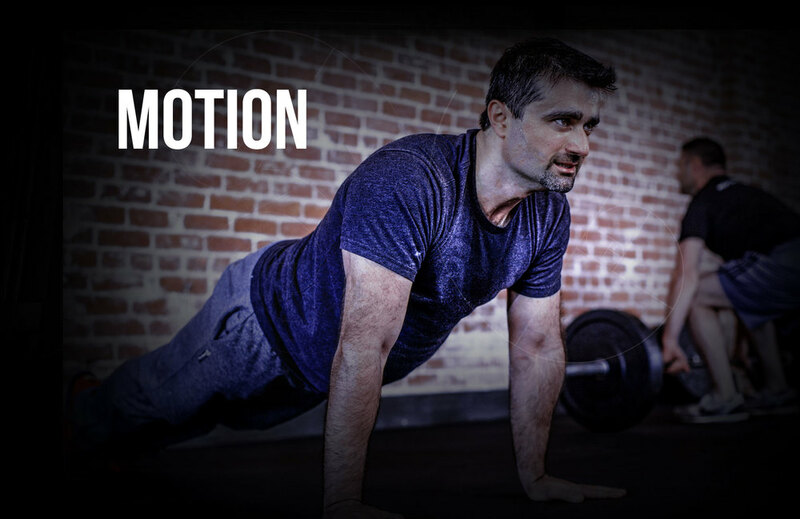 First week FREE – no commitment necessary. "Not only has The WellRock helped me get into shape but they've taught me a lot about nutrition and how the body responds to what we consume on a daily basis. The benefits are rewarding. I get to enjoy an active lifestyle side by side with my kids and that's priceless." "The WellRock has become a part of my daily routine. If I skip a day I feel incomplete, I wake up earlier and sacrifice other things in my day to make sure I can work out. I’ve learned it is possible to be healthier as you get older. I feel healthier now than I did in my 20s." "The WellRock has changed the way I live and the way I think. I am grateful for the feeling I get when I do something I never thought I could. When I push my body and work hard and see results, that feeling bleeds into every area of my life." "I was the overweight kid, we all know that kid. The cute little chubby kid who everyone liked. Growing up I realized my weight was the first thing people were noticing about me. By the time I turned 21, I weighed well over 300lbs…"
Life Changing Fitness For The Mind, Body & Soul.